Founded by Spanish missionaries in the 16th century, Chiclayo lies at the junction of trade routes between the jungle, highlands and coast. 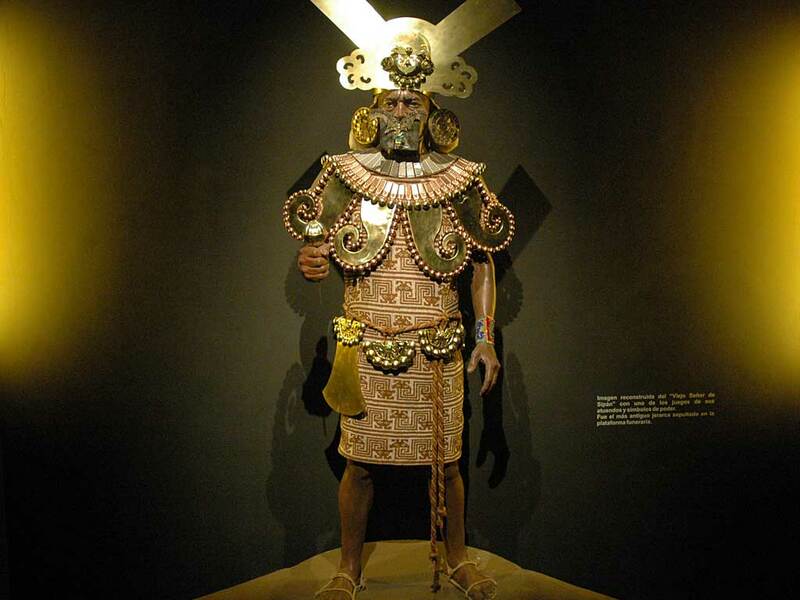 It’s an ideal base from which explore the fascinating museum that houses the remains of the Moche nobleman known as the Lord of Sipán, and the priceless collection of gold and silver artefacts that were discovered in his 1700 year-old tomb. 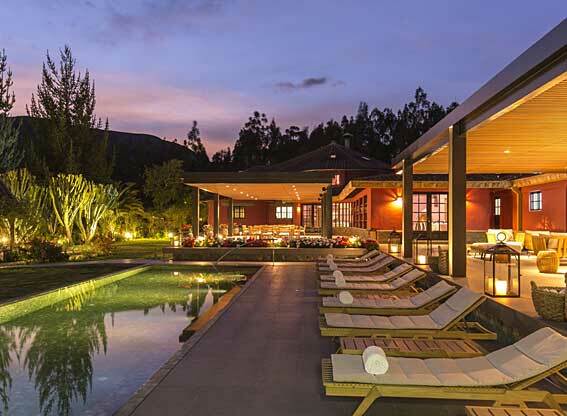 It’s also a convenient location from which to visit archaeological sites of historic importance such as the Pyramids of Túcume. The main reason really has to be the Museum of the Royal Tombs of Sipán – a distinctive, deep pink, pyramid-shaped structure designed to mimic pre-Inca Moche tombs. 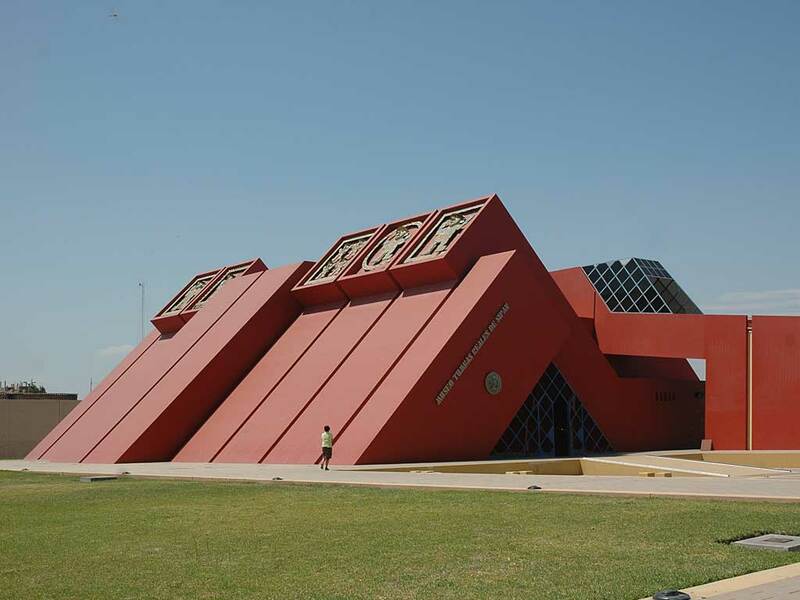 Located in Lambayeque, 20 minutes from Chiclayo, it opened in 2002 to showcase the extraordinary discoveries made in 1987 at Huaca Rajada by archeologist Walter Alva and is quite simply one of the best museums in South America. 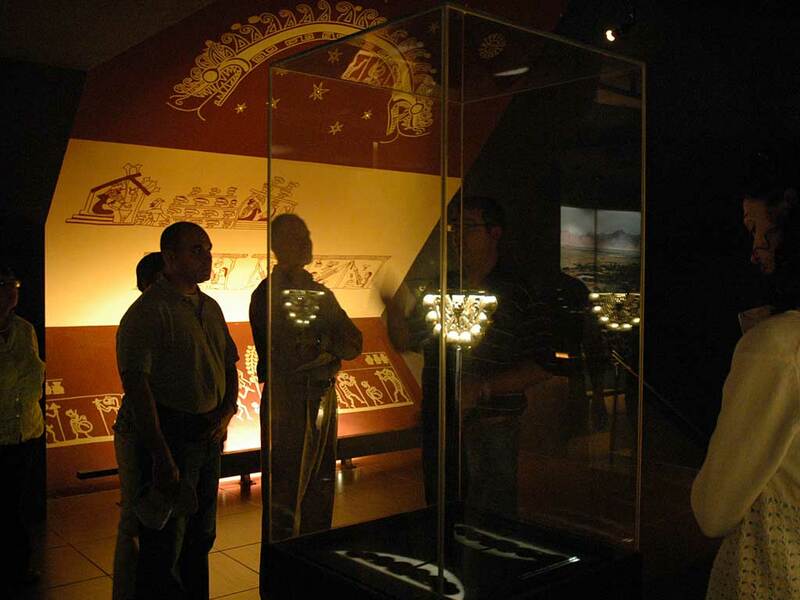 It’s beautifully and thoughtfully laid out, taking visitors through the progress of the original dig to the astonishing collection of incredibly detailed jewelry and clothing that was to accompany the Lord of Sipán on his ultimate journey. 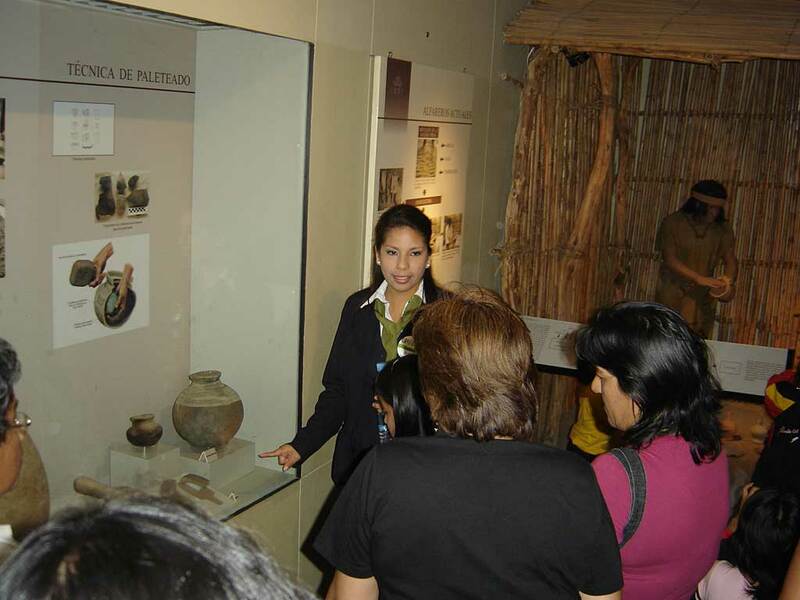 Also in Lambayeque you’ll find the Brüning Museum, with exhibits depicting daily life, rituals and occupations for the Moche, Chimú, Vicús and Lambayeque cultures. 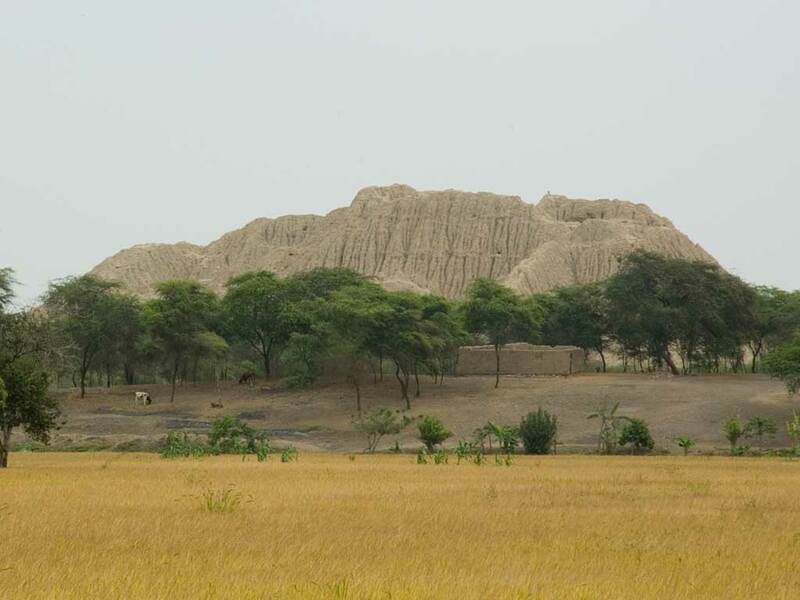 The pyramids of Túcume, one of the largest pyramid complexes in the world, lie 45-minutes from Chiclayo. The 540-acre site contains 26, largely-unexcavated pre-Hispanic adobe burial pyramids, constructed almost 1,000 years ago by the Sicán people. 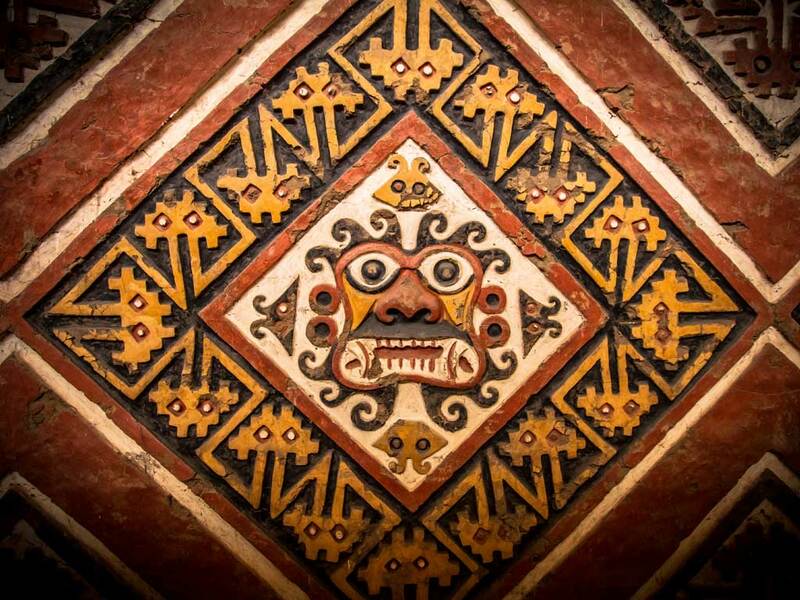 From Chiclayo it’s around a two-hour drive to the El Brujo Archaeological Complex, with its 30m tall Moche Temple Cao pyramid, the original burial place of the shamanic ‘Lady of Cao’. Her remarkably well-preserved mummy can now be seen, along with rich artefacts from her tomb, in the adjacent, ultra-modern wedge-shaped building that is home to the Cao Museum. Chiclayo’s Mercado Modelo is where you’ll find stalls of tasty fruits and also the Mercado de Brujos (witch doctors’ market); a fascinating place to visit to see the herbs, snake skins etc. 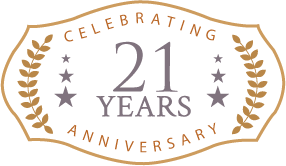 which are prescribed in this form of traditional medicine. Also try to visit Pimentel beach in time to enjoy the sunset from the boardwalk, or watch the fishermen heading out in their traditional reed rafts. 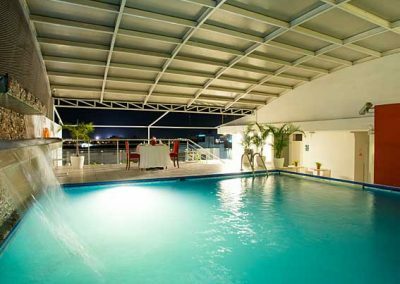 Chiclayo has a host of different types and levels of accommodation, so there is something to suit all tastes and budgets.